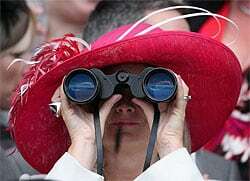 No matter if you are going to the Kentucky Derby, the Grand National or just you local meet you really should not leave home without a good pair of horse racing binoculars as they will most definitely improve your enjoyment of the event. 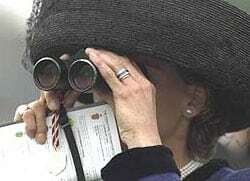 But what exactly makes a good pair or binoculars for horse racing? When choosing any pair of optics for a specific purpose, you first need to decide what the most important features are for their main intended use, then you can look for a pair of optics that match all or as many of these features as possible. 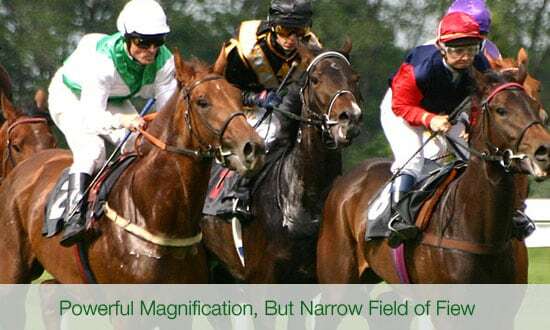 I think the first thing you need to consider when deciding on a horse racing binocular is what size you want. Always keeping in mind that you will have to carry it about with you to and from and whilst you are at the races. But compacts do have their drawbacks and so some people may feel that the benefits that full size or even mid-sized binoculars have over them are worth the extra weight and size. Obviously a small pair will be very portable with some bins small enough to pop into your jacket pocket, but as you will see below, different sized binoculars have their own particular advantages and disadvantages and the choice you make may not be quite as simple as how easy they are to carry. Personally I like to take a really compact pair of binoculars with me to the races, but compacts do have their drawbacks and so some people may feel that the benefits that full size or even mid-sized binoculars have over them are worth the extra weight and size. Because of their larger objective lens, full sized and mid-sized binoculars are able to take in more light, meaning that the image that you view through them is usually brighter and of better quality - Note: other factors like lens coatings and quality of the lenses and prisms will also have a big baring on this. On a bright sunny day, image brightness should not be a problem even with compacts and is only really and important factor in poor light conditions. Good quality compact binoculars will use high quality glass and coatings and will actually often outperform cheap or poor quality full sized binoculars. So if you are looking for a very cheap pair of binoculars (please don't!) I would suggest opting for a full sized pair of porro prisms, but if you are able to spend just that bit more, you could easily get the same performance from a compact porro prism that is far easier to carry around during your day at the races. At the same magnification full size binoculars tend to have a wider field of view, which as you will see below is a fairly important feature for racing binoculars. If you want a better performance than a compact can offer, but don't want to carry about a full sized pair of optics, you should consider a pair of mid size binoculars which are a great compromise between the two. Tip: When it comes to size, not all compact binoculars are created equal. So if you really want a small pair that you can just pop away in your pocket when not in use, look out for roof prism compacts that have a duel hinge design that makes them far smaller than standard single hinge or porro prism compacts when folded. For more details take a look at my article on the Best Compact Pocket Binoculars. Roof Prism Advantages: The compact prism design usually means a smaller more compact binocular than porro prisms with the same size objective lenses. There are also less moving internal parts, so tend to be tougher and longer lasting. Roof Prism Disadvantages: A cheap roof prism is usually optically inferior to a cheap porro prism's. This is because it is harder to align roof prisms and to ensure total internal reflection the roof prism design also requires expensive coatings which are obviously not used in cheaper models of roof prim binoculars. This is not a problem in the mid to expensive range, so if you are planning on buying a very cheap pair of binoculars which I would advise against anyway, you should rather rather opt for a porro prism design. Porro Prism Advantages: Because the objective lenses are wider apart, they tend to have a better stereoscopic image and a wider field of view than porro prisms. They are also cheaper to make than roof prisms and so tend to be optically superior in the cheap to mid price ranges. Porro Prism Disadvantages: Bulky in comparison to porro prisms. There are also more moving parts and so they are harder to make dust and waterproof and have slightly more chance of something going wrong. The first problem with increasing the magnification is the higher the magnification, the smaller your field of view (FOV) will usually be (see field of view below). This means that a binocular with a high magnification and small FOV will enable you to see loads of detail, but less of the whole picture and so you could miss out on some of the action. The next problem with high powered binoculars is that it becomes harder and harder to keep the image steady as any movement you make becomes progressively magnified through the binoculars. This is will be even more of a problem when you have to follow something like running horses. So you have to make a compromise between getting close enough to the action to really see what is going on, but not so close that it makes actually seeing what is going on difficult! So in my opinion binoculars with a magnification between 7x and 10x will be more than adequate for most horse race events. If however you are going to be particularly far away from the action you could consider a 12x magnification which is still fairly easy to keep still, but will get you just that bit closer to the action. The field of view (FOV) of a pair of binoculars is basically the width of the image that you can see through the binoculars and so a wide FOV enables you to catch as much of the action all at once without having to move the binoculars about. 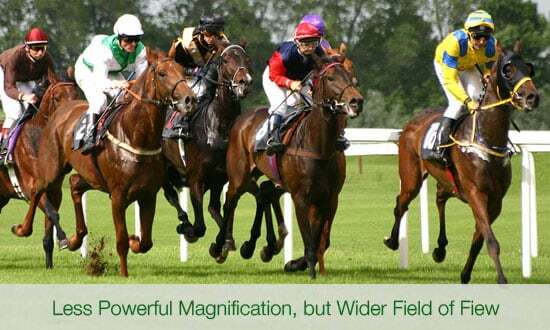 In horse racing, the distances that you view the action tends to be fairly big and the main group of horses tend to keep fairly close together and so the FOV is perhaps not as important as in many other sports. But ideally you still want is a pair of binoculars with as wide a field of view as possible in your chosen magnification, enabling you to observe as much of the action without having to move the binoculars all around the place. The FOV is usually expressed in feet at a distance of 1,000 yards, but increasingly common is in meters at 1,000 meters or it is sometimes described as an angle. I would say that a FOV of 315ft at 1,000 yards (105m at 1,000 meters / 6.0° ) should be fine, but as I say, the wider the better, so if you are undecided between two models, check which has the widest FOV. This is only really important if you use eye glasses. Basically Eye Relief is the distance from the ocular lenses where you will see the full field of view. The eyecups on binoculars ensure that your eyes are positioned at the correct distance from the ocular lens, but if you wear glasses and want to keep them on whilst glassing, you need to reduce this distance to ensure that you still see the entire view without any vignetting on the sides. Adjustable eyecups allow you to change the distance and ensure that even with your glasses on your eyes are the correct distance from the ocular lenses. Binoculars with a longer eye relief are ideal for those who wear glasses as they basically project the image further beyond the ocular lens, giving you plenty of room to play with. So if you wear glasses, you should be looking for an eye relief of at least 15mm, to see the full image full image. The down side to long eye relief is that it usually reduces the field of view. Some people wonder if you need to wear glasses at all using binoculars, well If you are near-sighted or far-sighted, you can use your binoculars without wearing glasses and the binoculars focus will compensate, but if you have astigmatism, you will need to use your glasses. 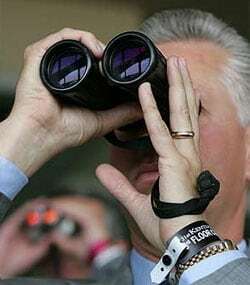 Or you can take a look at All Binoculars ideal for Sporting Events, including Horse Racing that I have so far reviewed.